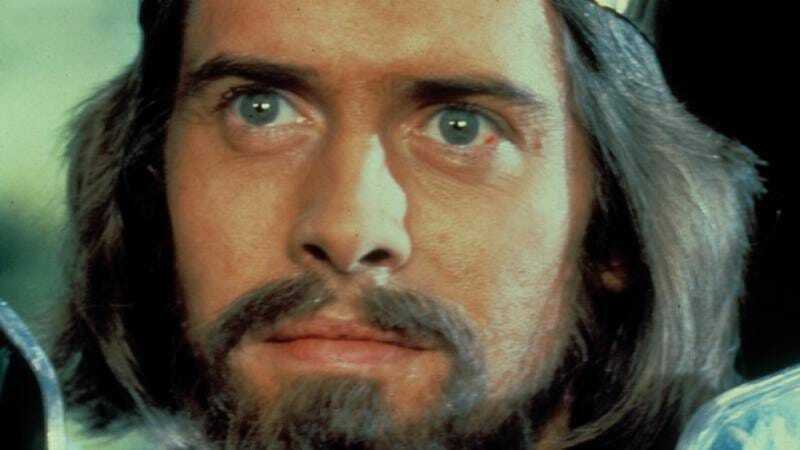 British actor Nigel Terry, best known for playing King Arthur in the 1981 fantasy epic Excalibur, has died. According to Deadline, the cause of death was emphysema. Terry was 69. Born in England in 1945, Terry first broke into the acting world by working with various British theatrical organizations, including the Oxford Meadow Players and the Royal Shakespeare Company. Proud of his status as a stage actor, Terry was very choosy about his film and television roles. After a few small parts on British TV shows, Terry’s first movie was director Anthony Harvey’s adaptation of The Lion In Winter with Peter O’Toole and Katharine Hepburn, an appropriate choice, given his theatrical experience. Terry played Prince John, and though his performance was well received, he didn’t appear in another movie for 13 years—by choice. That movie was Excalibur, John Boorman’s stylish retelling of the King Arthur legend. As King Arthur, Terry had to carry not only the film but also one of the most famous stories in British history. Reviews for Excalibur were mixed upon release, but its dramatic visuals and mythological take on the Arthurian stories helped it connect with audiences both then and now. Terry began appearing in more film and TV roles after Excalibur, with him appearing in Caravaggio, Troy, horror movie Feartdotcom, and in a recurring role on the medieval-set British TV series Covington Cross.